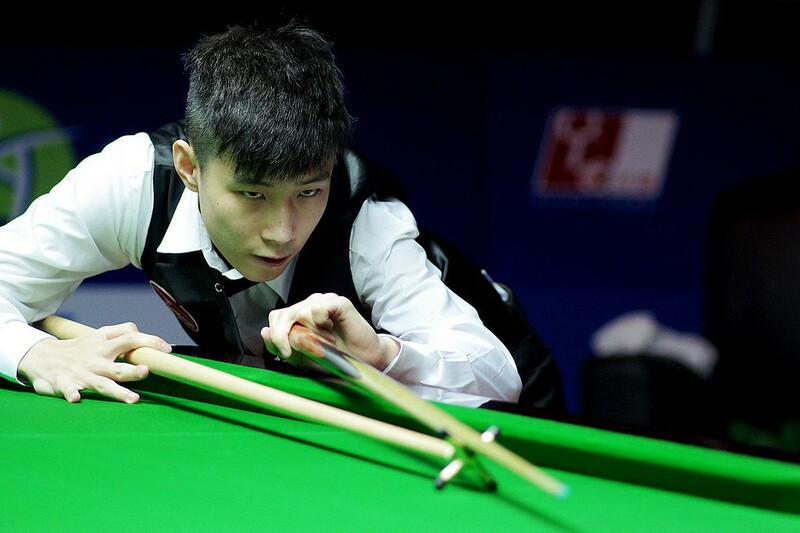 China’s Zhao Xintong eased past Adam Brown with a 4-0 win to secure his place in the third round of Q School in Burton. Victory leaves the talented 21-year-old four wins away from an immediate return to the World Snooker Tour. Zhao dropped off the professional circuit last month, after suffering defeat at the hands of compatriot Liang Wenbo at World Championship qualifying. He took just over an hour to secure his win today and compiled breaks of 60 and 96 along the way. Welsh teenager Jackson Page suffered a surprise 4-3 defeat against Ben Hancorn. Page, who is mentored by World Champion Mark Williams, is just 16-years-old and is regarded as one of the brightest British talents in snooker. However, he let a 3-1 lead slip today and will have to move his attention to event two as he bids to earn a tour card. Barry Pinches defeated his son Luke 4-1 to book his spot in round three. The former world number 18 admitted prior to the match that facing his son would be the toughest test of his career. However, the 47-year-old was able to control his emotions and secure victory this afternoon.